Hi, Welc ome to my website, enjoy Your stay. It is here where i may put many things pertaining me, my life, my career and perhaps my aspirations as a citizen, a father, an artist and as an ordinary human being. I will update this site from time to time. Please care to comment or give feedback. Home garden, market garden. Simply, means every home or house must have a garden, a backyard or front yard garden. 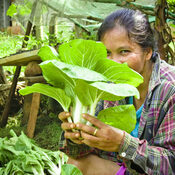 And every garden is a market -- market for fresh and cheap naturally grown vegetables. This is my humble proposal and recommendation to address sustainable nutrition issues as well as household economics. You know, everybody can be a gardener -- a successful gardener. 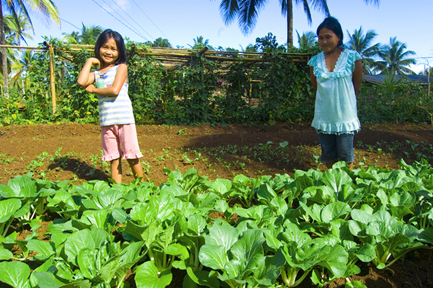 Everyone can eventually earn few centavos from gardening. Look, in one of my project sites where we train rural communities about this, a 15-year old dalagita with her younger sisters cultivates a garden about 3 meters by 4 meters in size. She grow 4 hills of ampalaya, 4 hills of eggplant, 2 hills tomatoes, sitaw, okra among others. The plants are well arranged in such a way that they don't interfere each others growth. There are also additional 2 box-type garden plots which are planted with petsay. Believe me they were able to earn about 460 pesos a week when she started harvesting from her garden. 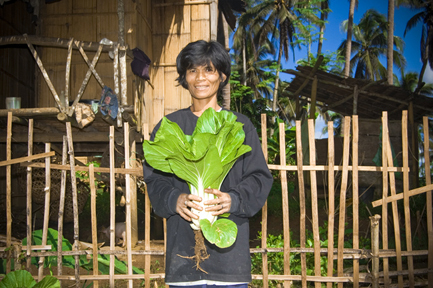 Other households also cultivate the same concept of garden -- a la bahay kubo and they also earn 60-80 a day. 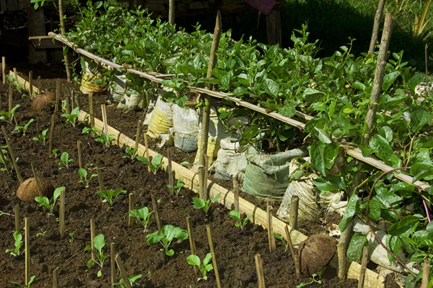 The gardens does not only provide them opportunity to earn but also provide them fresh and safe vegetables. 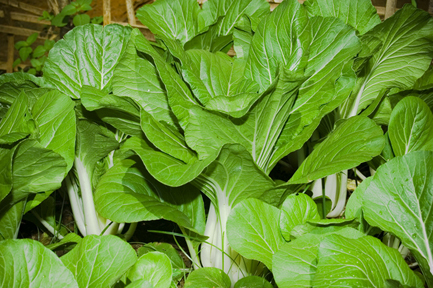 Do you know that in a thousand square meter of land suitable for garden, you can be able to plant about 10 thousand hills of pechay? 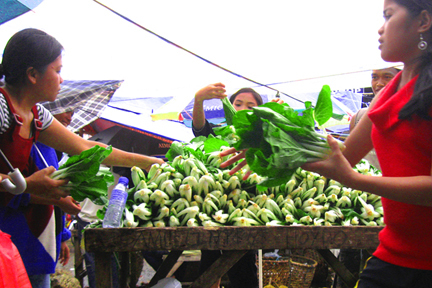 Suppose each pechay sells for 1 peso then you earn 10,000 or so! 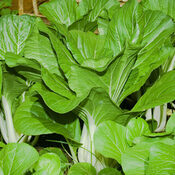 A pechay can be harvested about 30-34 days from planting. Imagine that. 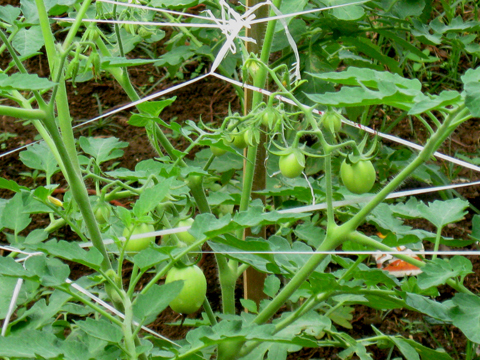 It is not difficult to grow garden vegetables. You can plant from left over containers of ice cream, milks and biscuits. Or from noodle soup Styrofoam. 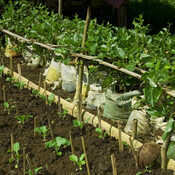 You can also plant in used plastic grocery bags or even old rice sacks or cement bags. 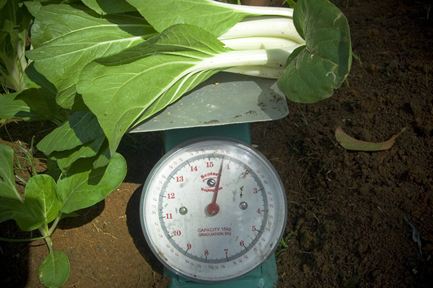 What is important you can contain appropriate amount of soils for your plants. I grew up in a family with little pieces of farm lands. My matrilineal grandparents' from Bohol and Camiguin and my father's side is from Misamis Oriental and Bukidnon. I grew up with my mother's parents, my matrilineal grandparents. 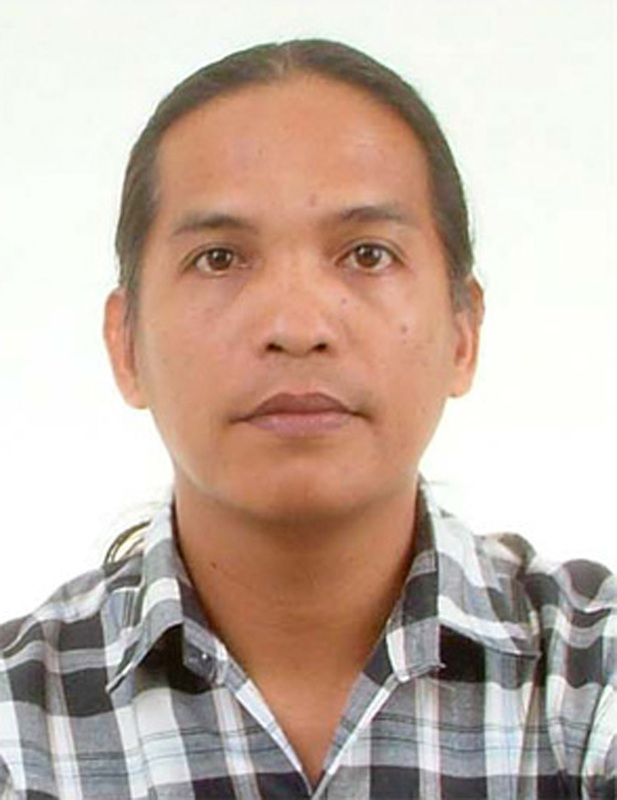 Though I was born in an urban environment in Iligan City, as a kid, however, I was already exposed to farming environment in our little farm in Bohol. 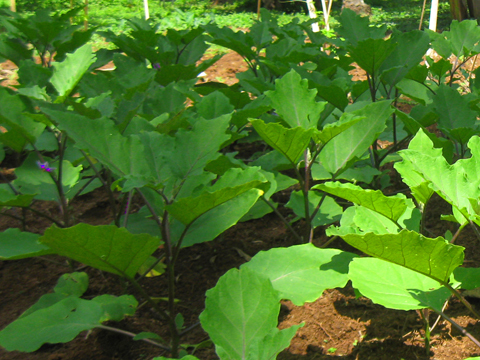 At tender age, I attempted several times to participate in planting "kinampay" (yam) or camote (sweet potato) or cassava but my olds won't allow me for no logical reasons. 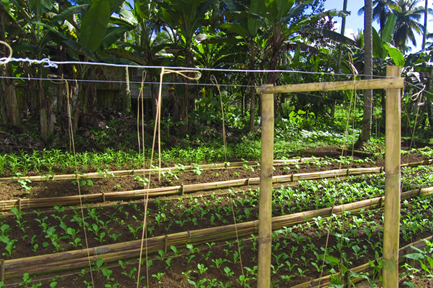 My first lesson in gardening was learned from my grandfather who first taught me on how to weed in our small backyard garden using a short bolo or what is commonly called in the Visayas and Mindanao as "gona" or "amol" or "bunglay" when I was about 9 years old. It was my first "formal" lesson in gardening... :) The second lesson I learned from him, is on how to make earth cubicles for the planting of Imelda "kangkong" as feed for our pigs and on how to plant kangkong. We formed 3 cubicles in a space about 100 square meters behind our house using crude farm tools. After few days of hard work the land was planted with kangkong stems. I realized how easy it was to plant kangkong. No synthetic fertilizers were used; only gray waters from our kitchen sink and bathroom floor drain ... Not long after, we had plenty of kangkongs, so plenty that our pigs can not cope consuming them. I remember that a close neighbor of ours always asked for kangkong from my grandpa almost every afternoon and in large bundles without any just remuneration. So, I decided to myself not to tolerate that practice. In my own little initiative, every afternoon, after classes, I rushed home to harvest the kangkong before our neighbor could ask. I tied the kangkongs in sizeable bundles with banana fibers and sold it in the neighborhood very early the following morning. I sold it at wholesale prices... I remember 10 cents a bundle! Too cheap but during that time a bottle of 8 oz. 7-up costs 10 cents or 15 cents if it is very cold. I earn Php 1.30-1.50 almost everyday from selling kangkong that time. It was back in 1973. During the Christmas break of 1973, I was perhaps the richest kid in the block; and that was my most memorable garden lesson: There is money in the garden! I realized that such lesson still holds through today. It is just a matter of how we study the techniques in gardening, utilize time and blend them with knowledge in marketing and of course the science and technology in gardening or farming for that matter. Actually my learning from my first gardening lessons serves as my guiding experience in what I do today. I have a little home garden from which my family get our fresh, and organically grown vegetables..I really love the sweetie, tasty taste of freshly harvested pechay, sweet pepper... :) .. slurrrpp! 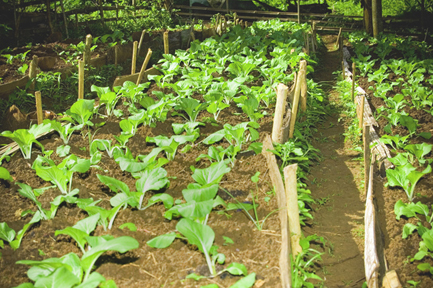 Home Garden, Market Garden--an alternative livelihood of the rural poor.